Don't Choose a Plumber to Fix Your Sump Pump | News and Events for Basement Systems, Inc.
Like basement waterproofers, plumbers are familiar with water issues. When it comes to installing, repairing, or maintaining a sump pump, it's easy to see why homeowners think their first call should be to a plumber (or even an electrician). However, there are several reasons why a basement waterproofing specialist is the more appropriate professional for all of your sump pump needs. While plumbers can deal with sump pumps, for them, it is only one of the many types of products and problems they are trained to solve – and it's probably an area they deal with the least. In contrast, a sump pump is a basement waterproofer's primary concern and where the majority of their expertise will come into play. Hiring anyone other than a professional will lead to inferior outcomes. Additionally, a basement waterproofing specialist is knowledgeable about many different kinds of sump pumps and how they interact with the rest of your waterproofing system. A plumber might only be able to solve a simple pump problem, whereas a basement professional can offer suggestions about the best system for your home. For example, the size and power source of your sump pump system are important factors to take into consideration. A sump pump that is too small won't be able to rid your home of water, whereas one that's too large will turn on and off repeatedly, shortening its lifespan. A plumber won't be concerned with these details, but a waterproofer will be. A basement waterproofing specialist can also discuss features like battery backup pumps, so your home will be safe in the event of a power outage. Finally, if the problem extends beyond just your sump pump, a plumber won't be able to help – but they'll still probably charge you for the visit. A basement professional can pinpoint all potential issues with your sump pump, French drain, and any other components of your waterproofing system. 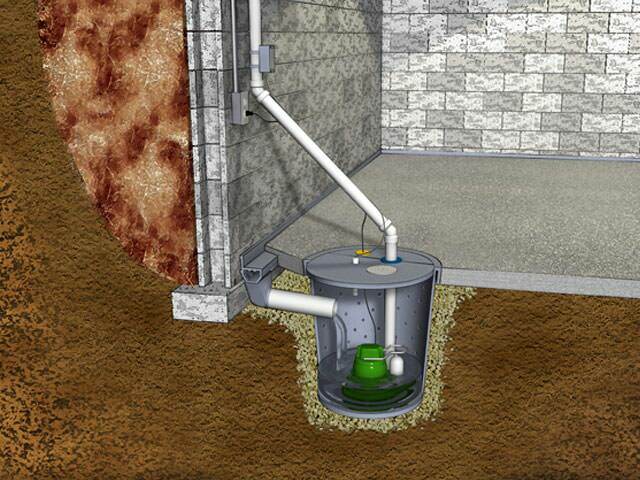 If you're looking to fix or install a sump pump in your home, a basement waterproofer is the way to go. The Basement Systems dealer network is made up of hundreds of dealers across the nation, all fully trained and certified to keep your basement safe and dry. Find your local dealer and schedule a free estimate for sump pump services today!